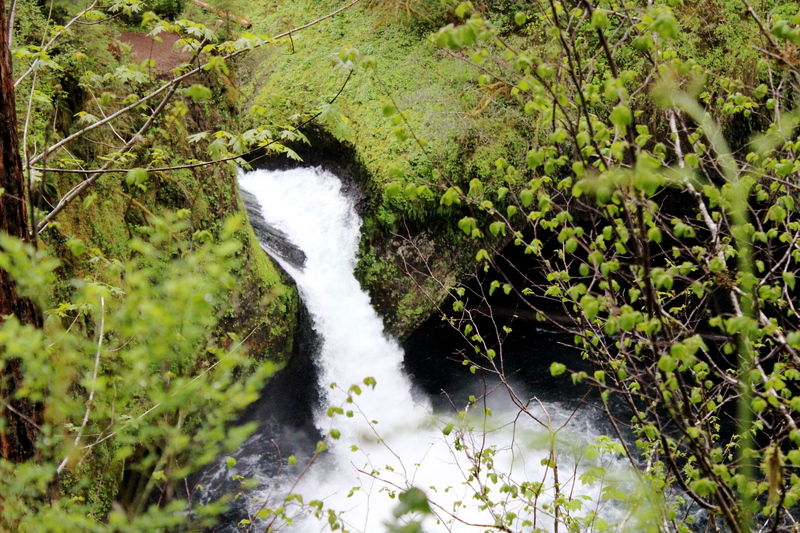 A long hike with a spectacular payoff at the end, a cave THROUGH a waterfall. 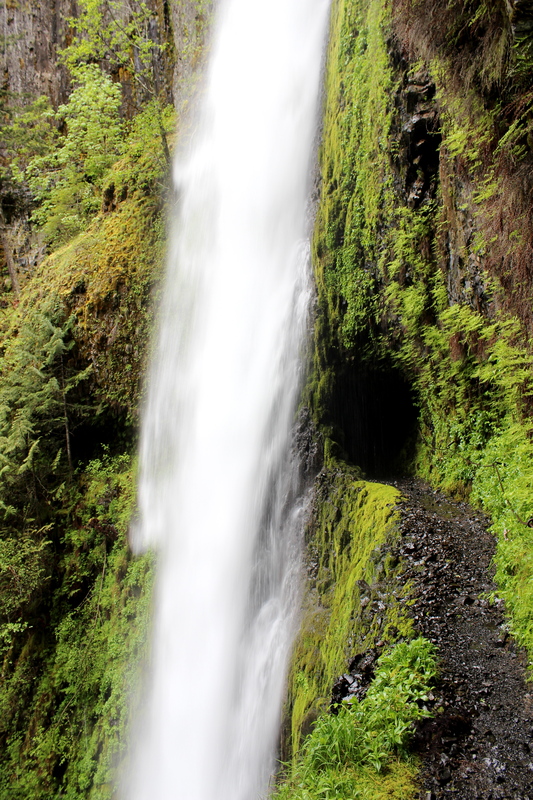 Hike the Eagle Creek Trail 4 miles past Punchbowl Falls to reach Tunnel Falls. Oh man. 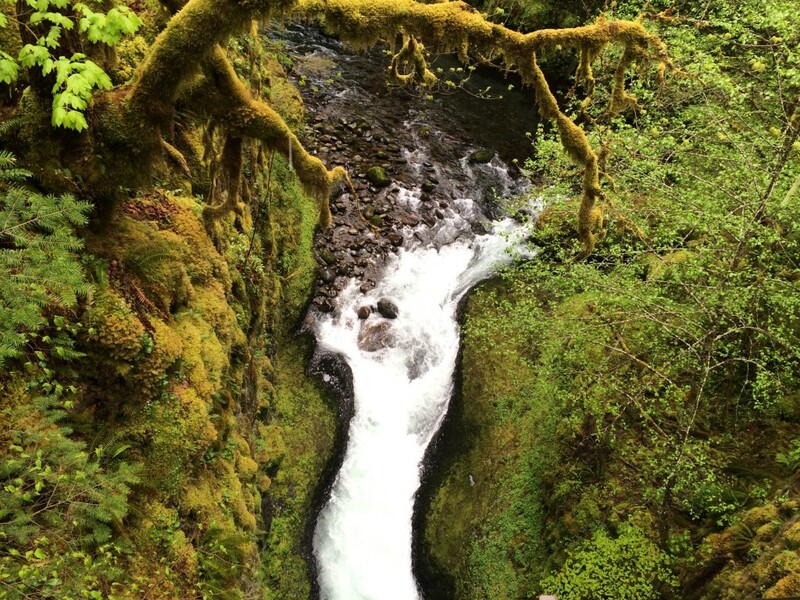 Eagle Creek. I’m having a tough time deciding what to say about this hike. 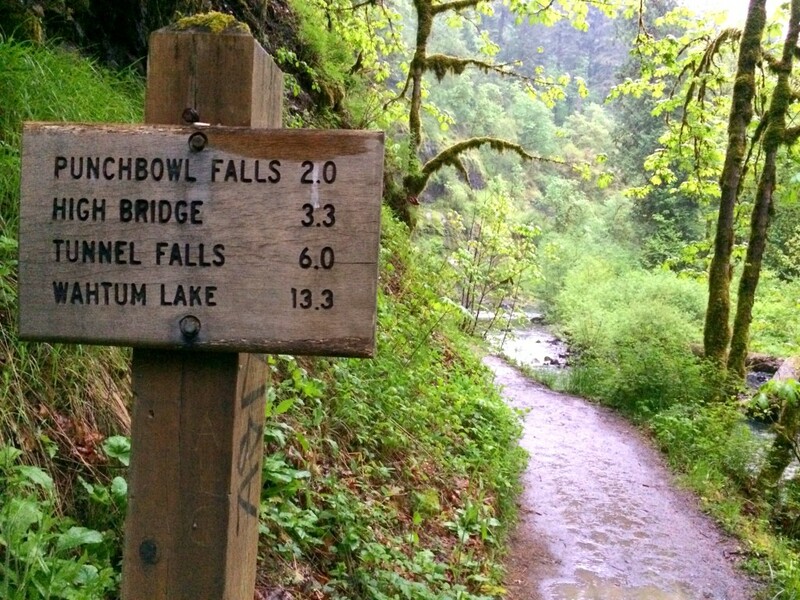 It’s one of the most popular trails in Oregon. Tunnel Falls, 6 miles up the trail is absolutley spectacular. Yet, I’m left feeling a little indifferent about the trip. I’ve hiked this trail a few times before, but this is the furthest I’ve ever been, hiking 6.5 miles in to Tunnel Falls. More than 13 miles round trip. 13 miles is tough. I was exhausted afterwards and really sore the next morning. The hike was beautiful and really exciting at times, but also had long stretches that were pretty boring. First off, there are a lot of things that make this trail popular. 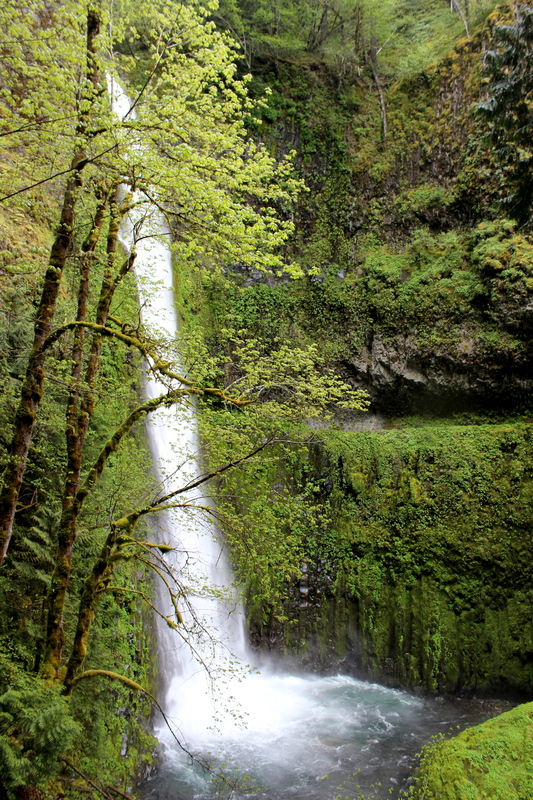 It’s fairly close to Portland, just a few exits past Multnomah Falls, and just two miles up the trail is PunchBowl Falls. My photos do not do it justice. 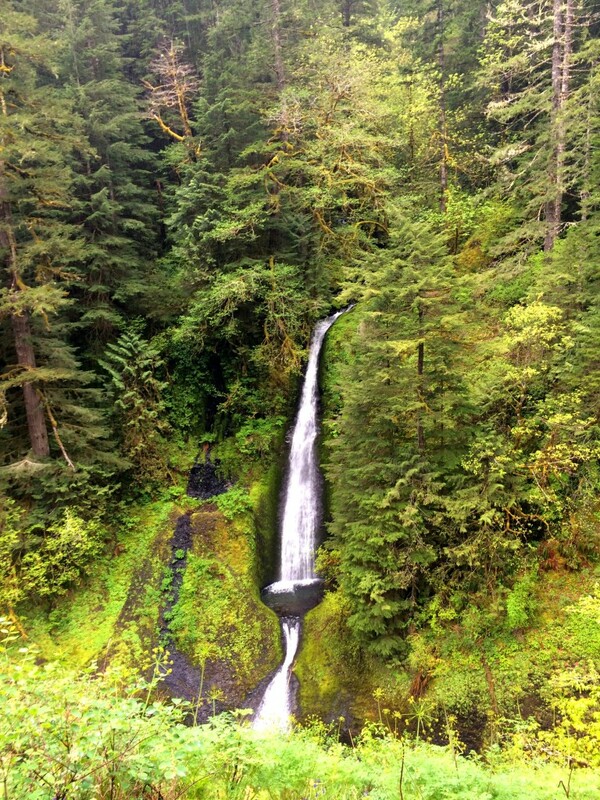 It’s a real Oregon icon with a white water chute that pours into a deep clear pool. People have kayaked it, cliff divers have taken the plunge and some have even died here. (That’s the news producer in me talking.) Punchbowl is where most people turn around, but for our trip this was just the beginning. We continued on for another 4 miles, following Eagle Creek the entire way. 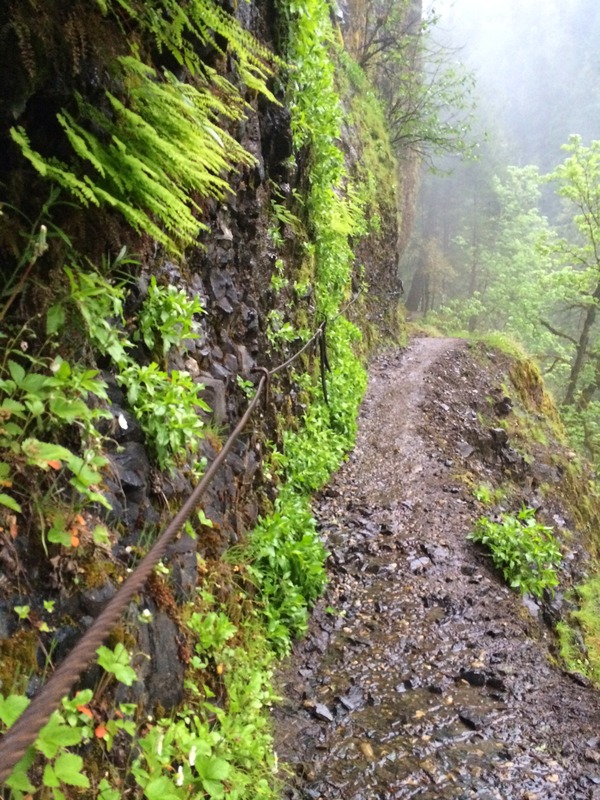 At times the canyon gets steep and the trail follows along narrow cliffs. There are even guide wires to hang on to. There are a couple creek crossings that force you to hop across rocks, but I managed it without getting my feet wet. A few bridges will criss-cross you back and forth across the canyon. This trail is really popular with backpackers, so after the bridge at 4.5 miles you’ll start seeing a number of camping areas along the river. Some of the spots were very beautiful right next top the river, so if you’re looking for a backpacking destination, consider it. 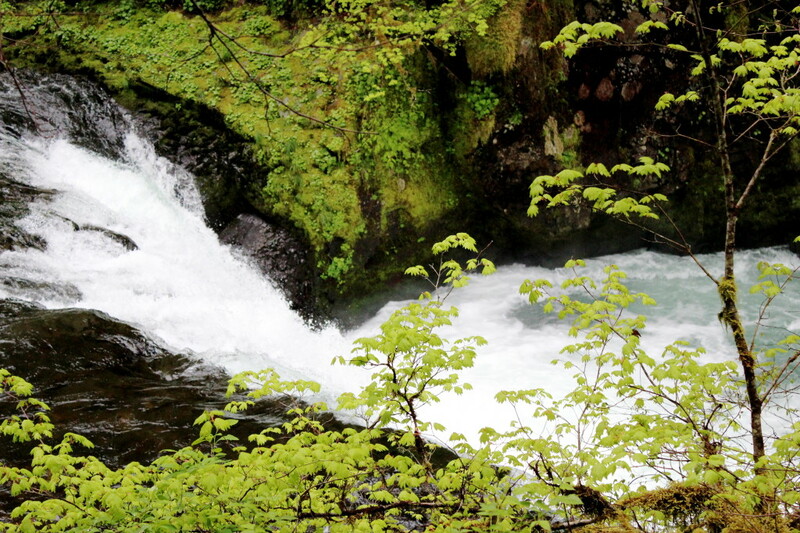 From here, the final couple miles we found a little bit boring… but then you get to Tunnel Falls. Wow. It’s exactly what it sounds like, there is a huge waterfall with a tunnel (a cave!) behind it. Not only is the cave cool, but on the other side, you walk along truly frightening ledge. Everyone holds on tight to the cable here. 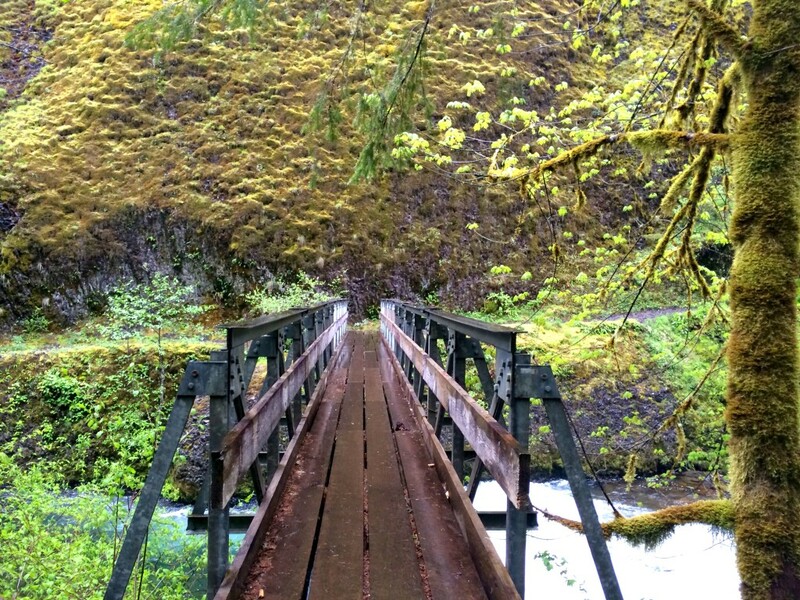 If you have an extreme fear of heights, this might not be the trail for you. Jacob does not like heights and he has proclaimed “I’m never doing that trail again.” So there you go. After passing through the tunnel, we turned around and headed back down the trail. 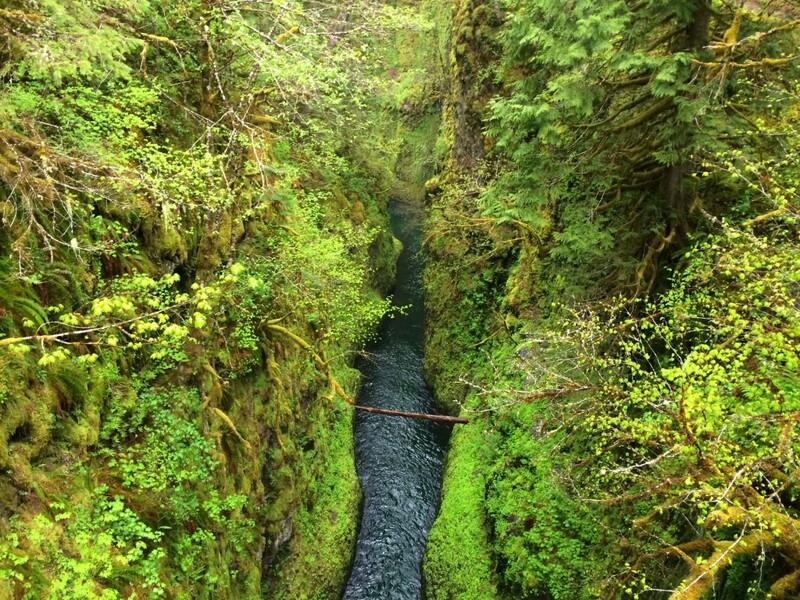 Our guide book (60 Hikes Within 60 Miles of Portland) says the trip should take 5 hours. But for us it took 7! I’m not sure why, usually the books is spot on with our pace, but this time we took was much longer. We must be out of shape. Or we took too many breaks. I also suggest wearing boots if you have them on this trail. I just wore my running shoes and found myself regretting it as the trail is rocky a large portion of the time. I’m still not sure if I can give the trail a wholehearted two thumbs up, but Tunnel Falls is so cool, the long hike might be worth it. Happy hiking! I LOVE this hike! It is probably my favorite in the gorge! I want to seek out waterfalls this summer. I will have to visit this one! Mr B and I have been taking a series of hikes in Forest Park this year, but we may have to stray from our agenda to check this one out. Absolutely Beautiful. Pinning this is my “Hikes to Take” board! Thanks Renee! Nice to meet you this weekend. Happy hiking! This place looks SO cool. Waterfall-laden paths are the exception to my “no hiking” rule. 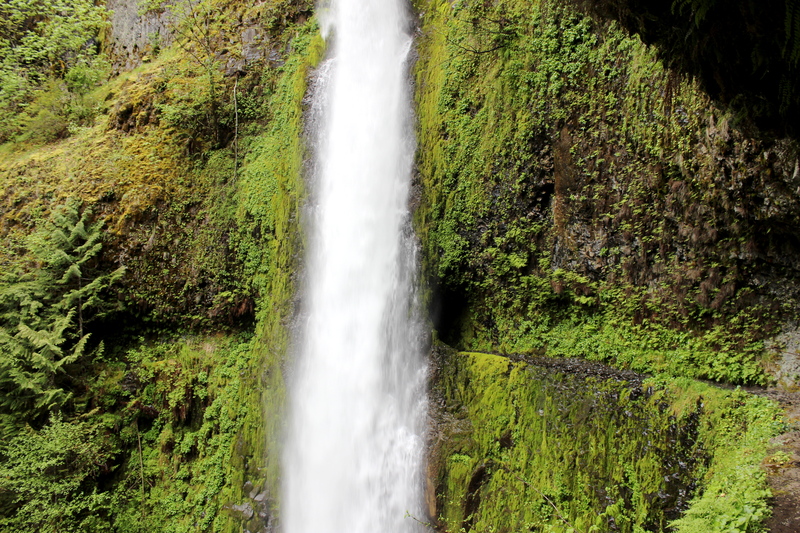 There are many things I truly love about the Portland area… And hiking amongst the waterfall is one of them. I was in the Silverton State park a couple of weeks ago and was amazed by the beauty of the site. 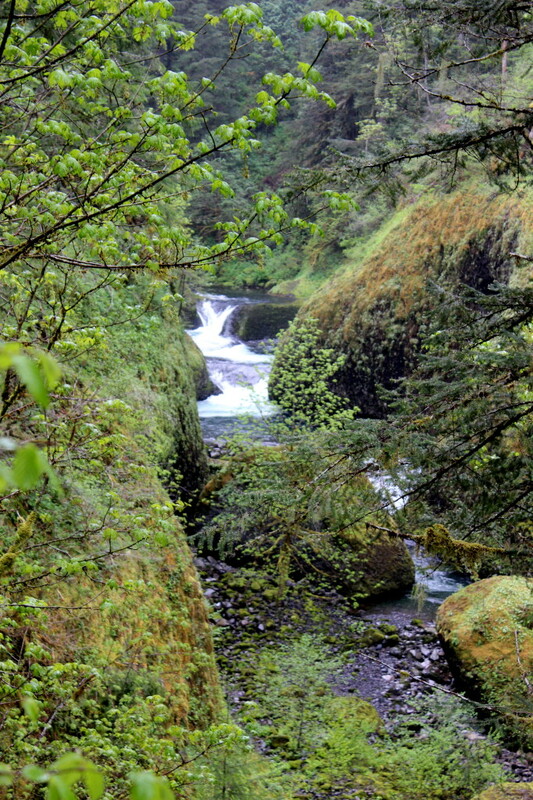 I have many more sites to discover, Eagle Creek being one of them! Thanks for sharing! AM and I did an overnight backpacking trip here. It’s like you say, most people make it to punch bowl, and it can be super busy. Almost all the rest turn around somewhere near tunnel falls. A really remarkable campsite with everything you love about the NW outdoors – towering pines, soft forest floor, moss and ferns sparkling with dew in the morning. If you do decide to do an overnight, you can start on the first day with Eagle creek and be on the valley floor. On the second day return along the Pacific Crest Trail, which follows along a ridge, and crosses the Benson Plateau, finally returning on Ruckel Creek Trail.